Would you believe me if I told you that you could have tender, succulent duck for dinner on a busy weeknight? Well, guess what? 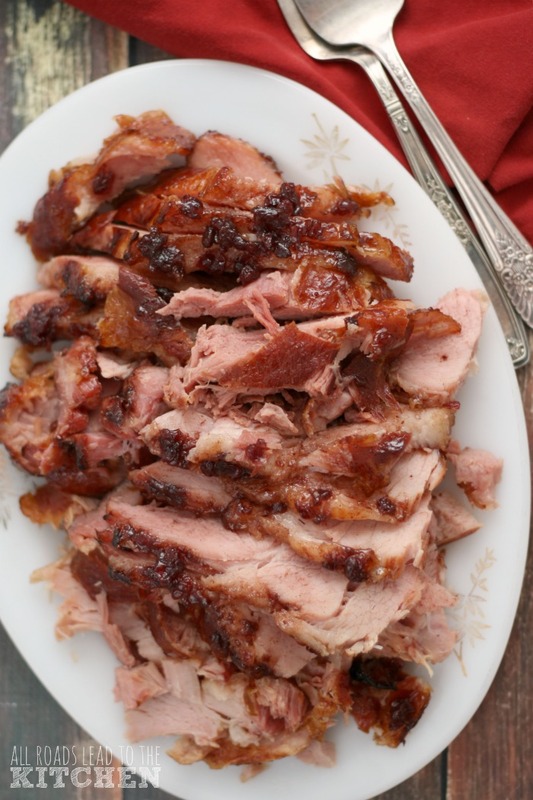 You CAN have tender, succulent duck for dinner on a busy weeknight! It's simply a matter of combining seasonal fruit and raiding your spice cupboard to throw together a flavorful barbecue sauce while your grill heats up. 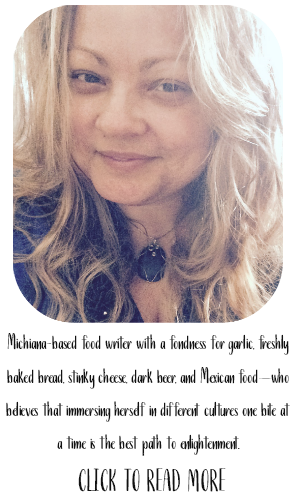 You may know that I am a Maple Leaf Farms ambassador for a few simple reasons. They are a local family-run business here in Indiana and they produce a superior product that stems from caring and commitment. I'm not paid to use, write, or talk about their products—I do it because I think everybody should know about their availability. They are the reason you can have a duck half that is so tender if falls right from the bone on a night that includes homework, sports, and taxi service without batting an eye. Along with uncooked duck products, they have an awesome line of convenience products such as the Roast Half Duck that I used in this recipe. 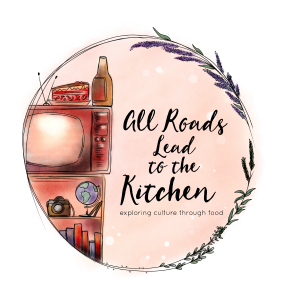 It's fully cooked, partially boned, then seasoned and roasted. It lends itself to all sorts of delicious preparations, but my personal favorite way to prepare it is to throw it on the grill to crisp up the skin. And honestly, it doesn't really need a sauce, but I like to switch things up every now and again. 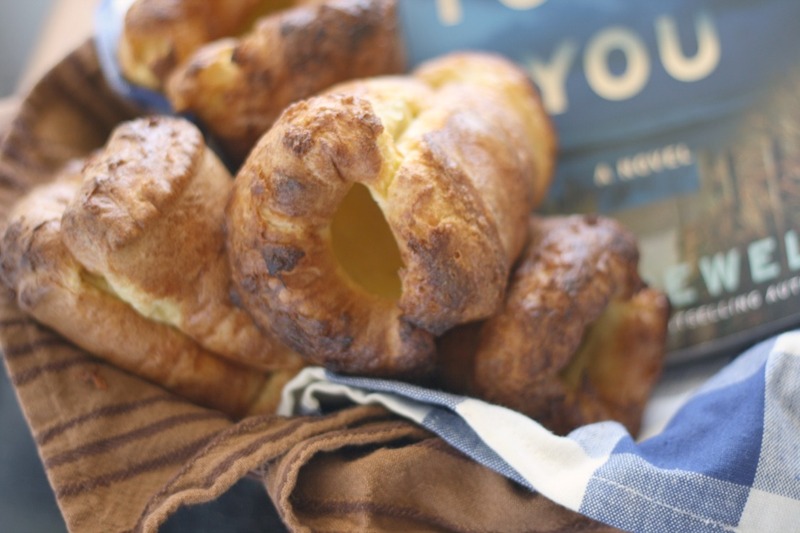 If you're lucky, you can find it in a retail store near you, either fresh or frozen, but if you can't find any locally, then you can order it from their website by clicking here. 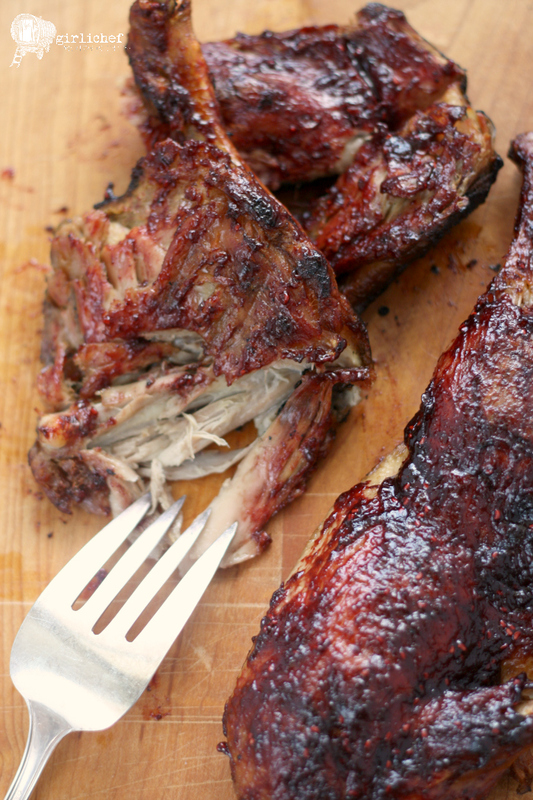 So, once your grill is hot and your ingredients have reduced to a sauce, it's just a matter of throwing everything on the grill to heat, crisp the skin, and glaze. 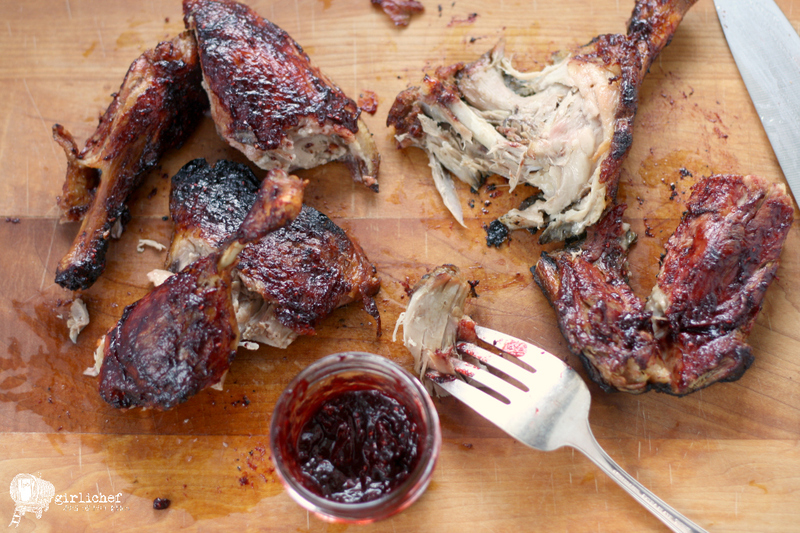 Heck, you could make it even easier by using your favorite store-bought barbecue sauce. Served alongside a fresh, crisp salad or some seasonal veggies, you'll have a meal that tastes like you spent hours preparing in a mere 30 minutes. You can't beat that with a stick. 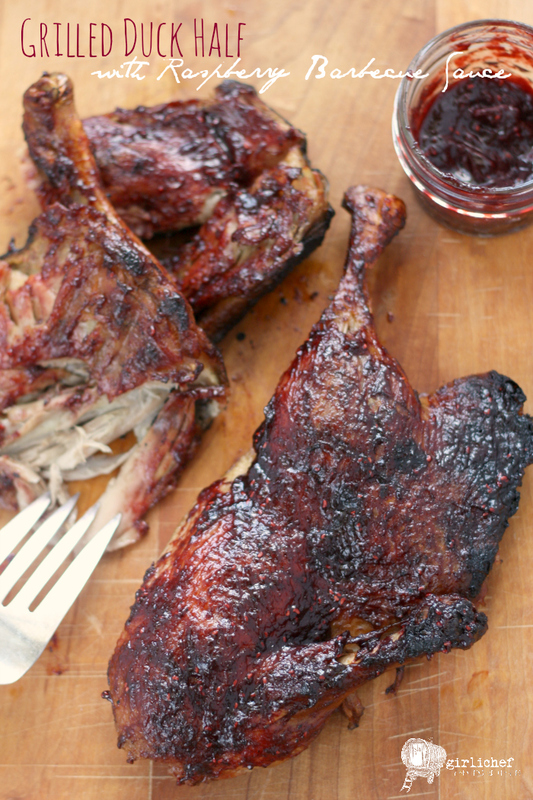 Pre-roasted duck halves and raspberry barbecue sauce combine to form a meal from the grill so quick and simple that it can be enjoyed on a busy weeknight. 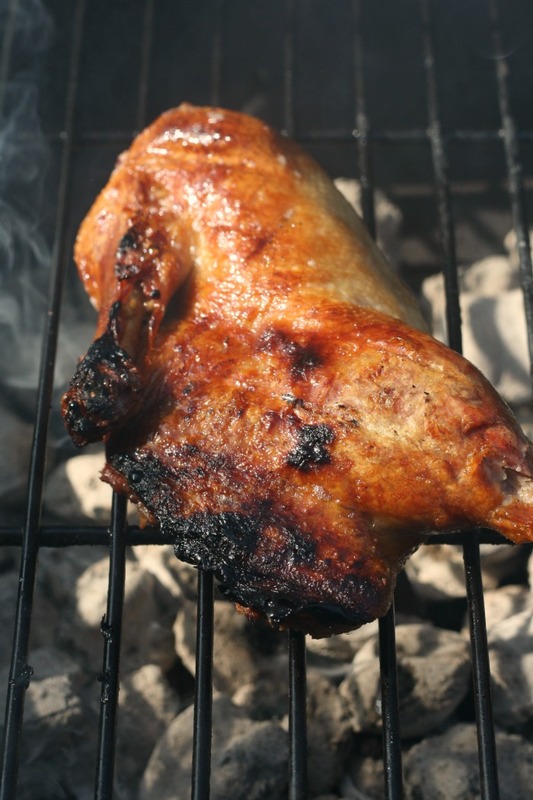 Preheat your grill to medium (gas or charcoal). Combine everything in a small nonstick saucepan over medium-high heat and bring to a boil. Reduce heat to a steady simmer and allow to reduce and thicken for ~8 minutes, stirring from time to time. Set a strainer over a small bowl and pour mixture through, pressing to get as much liquid as possible, but leaving the seeds behind. 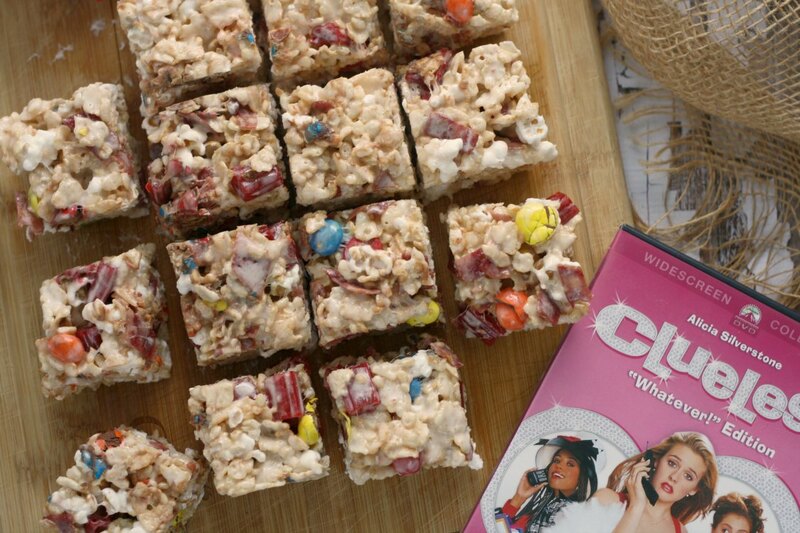 Use immediately in recipe, or refrigerate for up to 5 days. 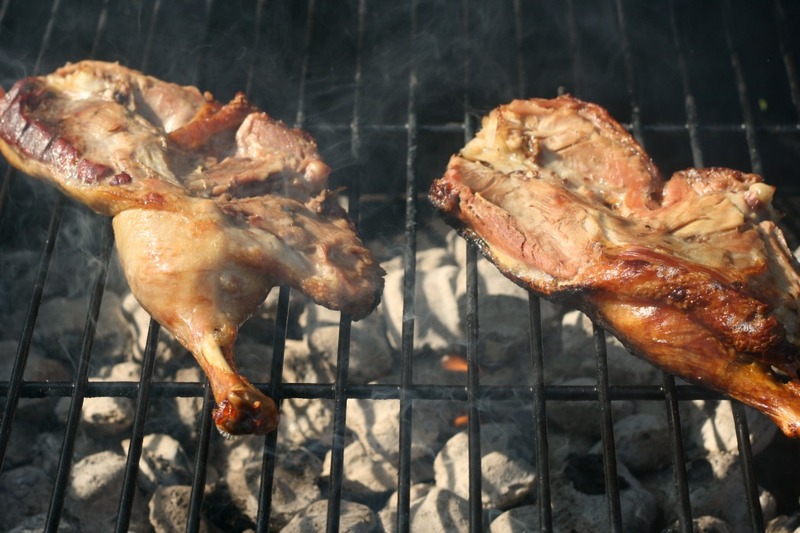 Once hot, set the duck halves on the grate, skin side down; cook for 10 minutes. 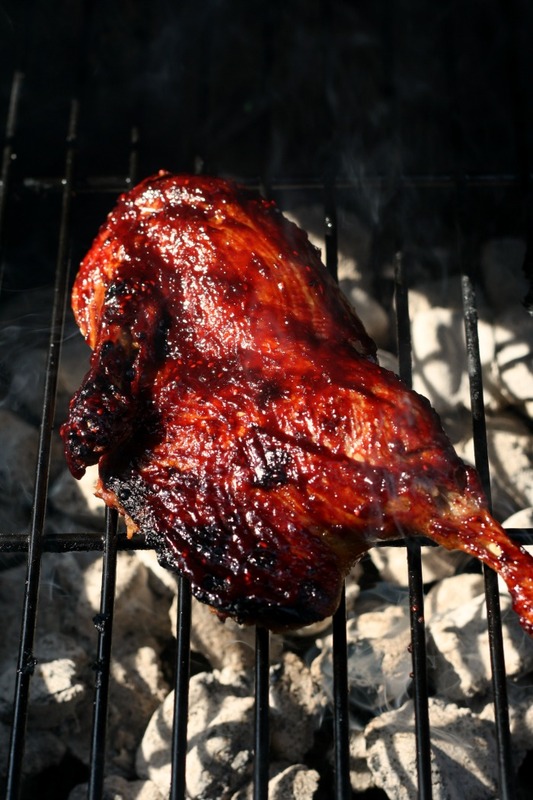 Flip duck over and brush the skin with a thick layer of raspberry barbecue sauce; cook for 5-10 minutes longer. Brush with more sauce, if you like, or serve the rest on the side. 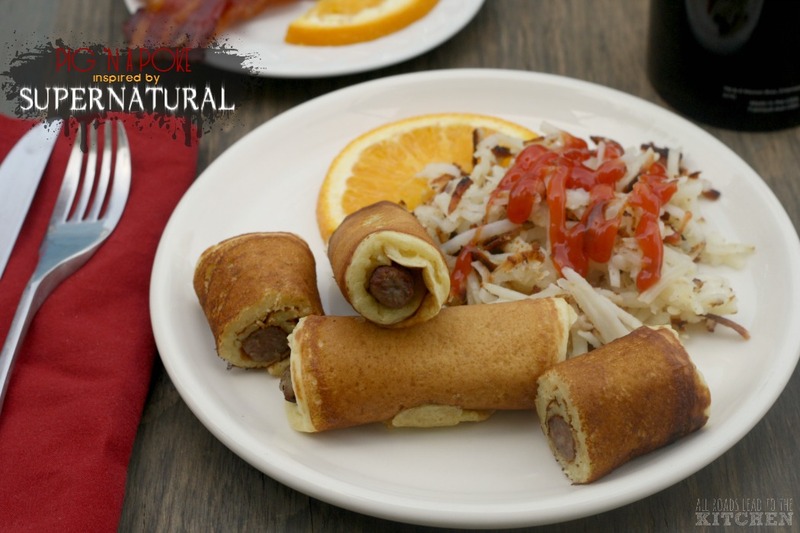 Remove to a tray or serving platter. 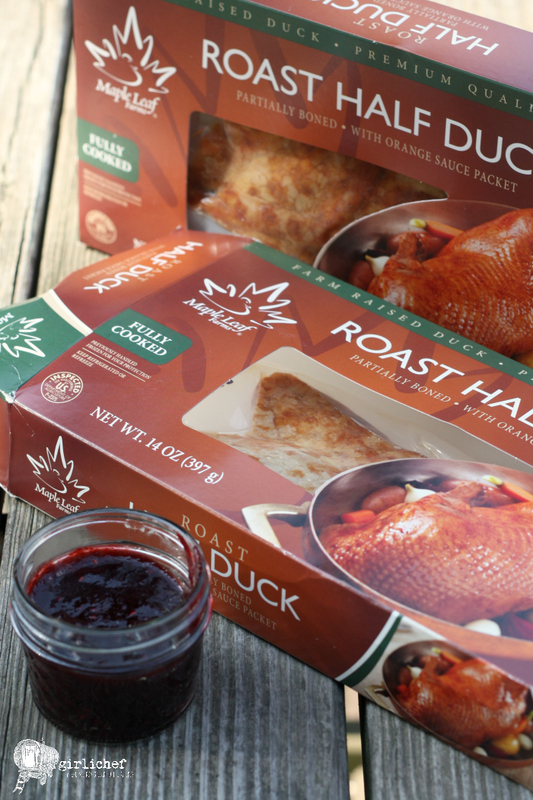 I am a Maple Leaf Farms Brand Ambassador, which means that I occasionally receive free duck and duck products for the purpose of testing and recipe development. I received no compensation for this post and all opinions are my own.